Paul Krugman has argued that the recession that started in Dec. 2007 would have been much worse if not for "automatic stabilizers", that is, government spending and taxation policies that are automatically counter-cyclical. 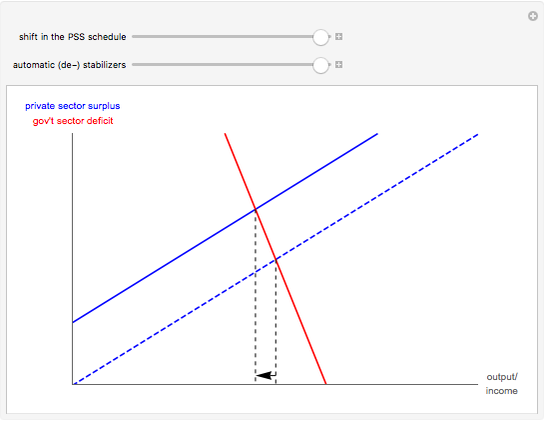 His argument can be illustrated with a diagram ("Krugman's cross") of the "private sector surplus" (PSS) and the "government sector deficit" (GSD) schedules. 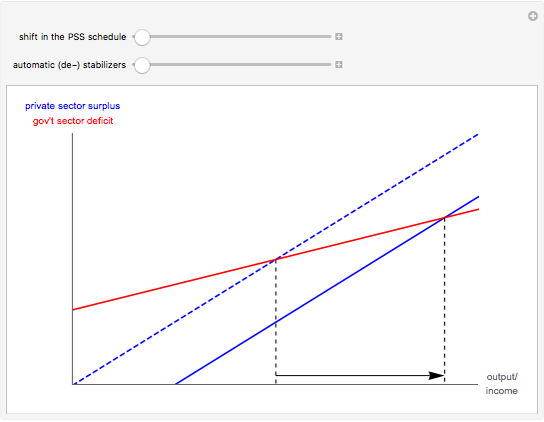 We see that an upward shift in the PSS schedule (due to higher desired saving or lower investment demand) reduces output/income, but this reduction is less severe if there are more automatic stabilizers (a steeper, negatively sloped GSD schedule). 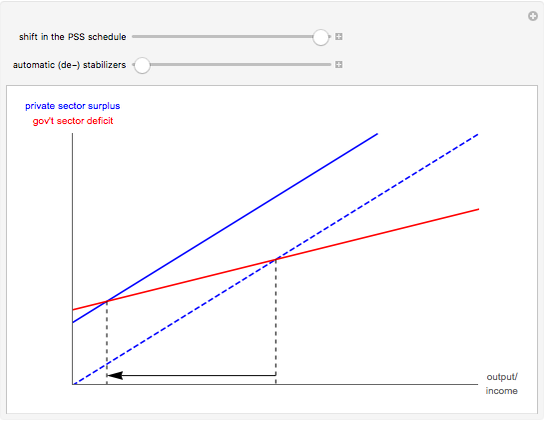 The reduction in output/income is more severe if there are no automatic stabilizers or if fiscal policy is automatically pro-cyclical due to "automatic de-stabilizers" (a flat or positively sloped GSD schedule, respectively). Krugman's cross diagram can be summarized as follows. By definition, private saving less investment (the PSS) equals government spending less tax revenues (the GSD) in a closed economy. We assume that output/income adjusts to equate the PSS and GSD. We also assume that desired saving responds more to changes in output/income than investment demand and, similarly, that the desired PSS responds more to changes in output/income than the GSD; these assumptions imply, diagrammatically, that the slope of the PSS schedule is positive and greater than the slope of the GSD schedule. See Krugman's New York Times blog post "Deficits Saved the World" and many of the blog entries at Economic Perspectives from Kansas City for more details. Kevin W. Capehart "Automatic Stabilizers in Krugman's Cross Diagram"